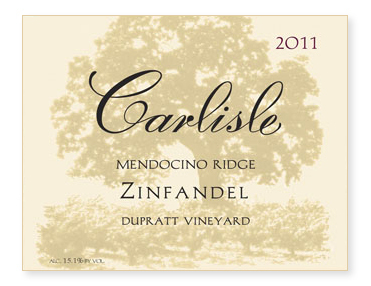 Our first Mendocino Zinfandel! And what a beauty! The DuPratt Vineyard lies at 1550’ elevation on a ridge top just a few miles away from the Pacific Ocean. Planted in 1920, it is one of the great, old-vine vineyards of Mendocino and has provided budwood for dozens and dozens of Zinfandel vineyards throughout the state. Although the vineyard sits above the summer fogline and typically escapes spring frost, picking here can often be in early November. In fact, in this cool vintage, we picked November 2nd at a modest 24.6 Brix. Bottled unfined.